Liveright Publishing Corporation, 9781631490279, 256pp. Clive James is one of our finest critics and best-beloved cultural voices. He is also a prize-winning poet. Since he was first enthralled by the mysterious power of poetry, he has been a dedicated student. In fact, for him, poetry has been nothing less than the occupation of his lifetime, and in this book he presents a distillation of all he's learned about the art form that matters to him most. 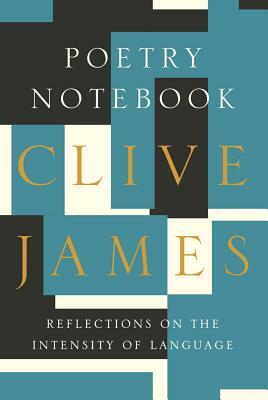 With his customary wit, delightfully lucid prose style and wide-ranging knowledge, Clive James explains the difference between the innocuous stuff so prevalent today and a real poem: the latter being a work of unity that insists on being heard entire and threatens never to leave the memory. A committed formalist and an astute commentator, James examines the poems and legacies of a panorama of twentieth-century poets, from Hart Crane to Ezra Pound, from Ted Hughes to Anne Sexton. In some cases he includes second readings or rereadings from later in life--just to be sure he wasn't wrong the first time Whether demanding that poetry must be heard beyond the world of poetry or opining on his five favorite poets (Yeats, Frost, Auden, Wilbur, and Larkin), James captures the whole truth of life's transience in this unforgettably eloquent book on how to read and appreciate modern poetry.